Are you one of the thousands of self-described Wegmans groupies? 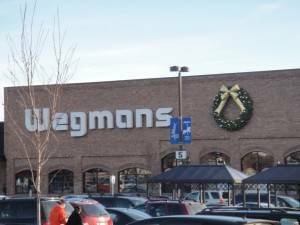 We are! 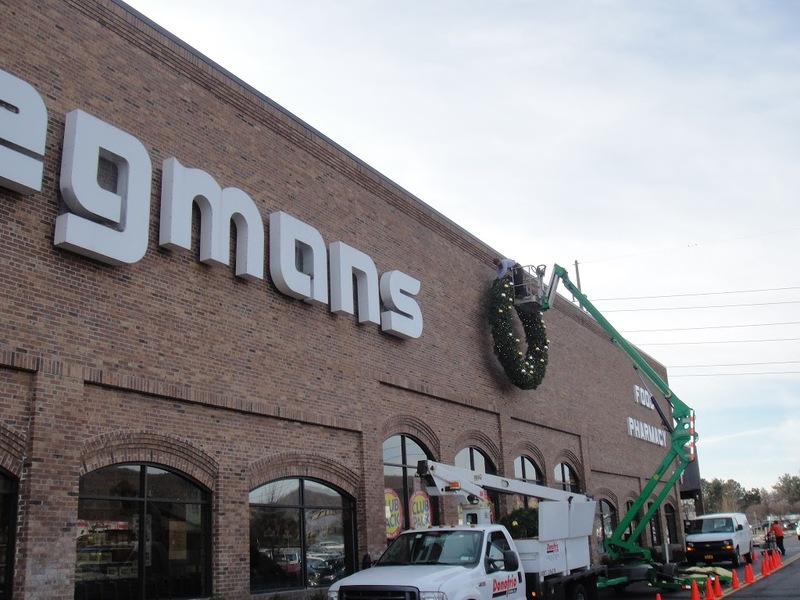 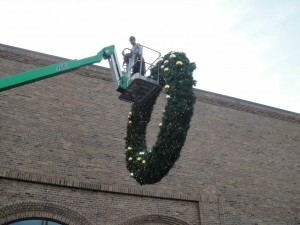 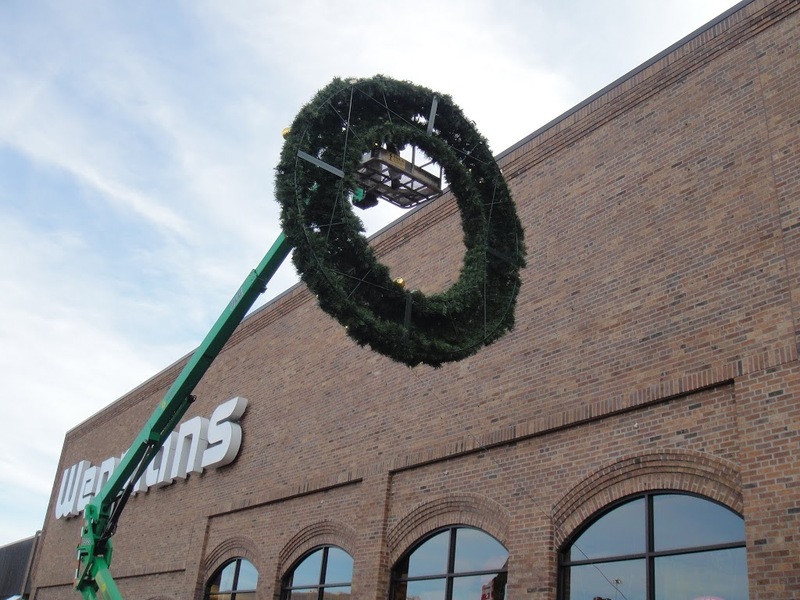 We like Wegmans so much that we provide holiday décor for one-quarter of all Wegmans stores. 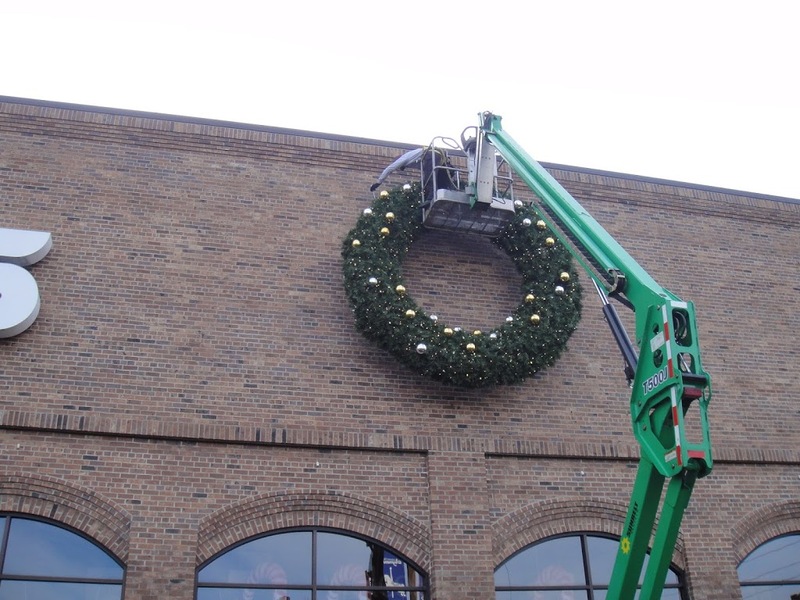 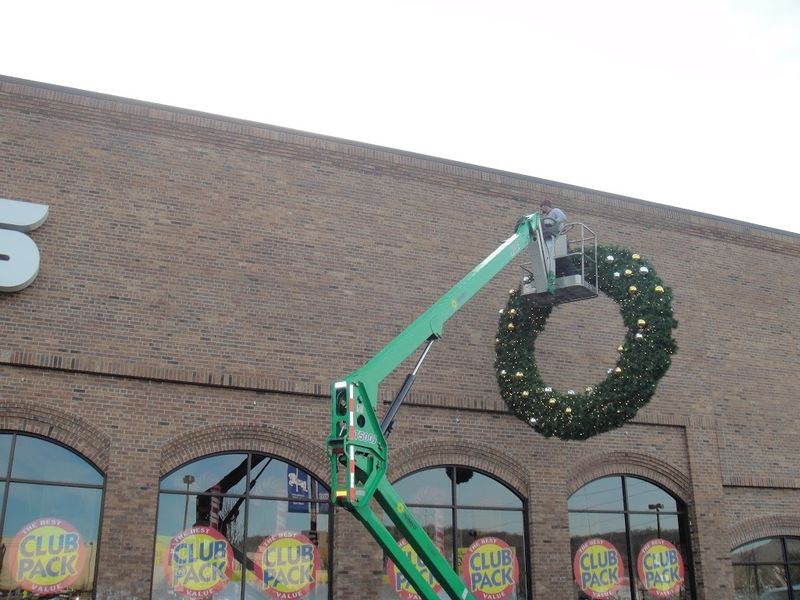 Each year, we adorn the facades of the stores with large 8 ft. and 12 ft. 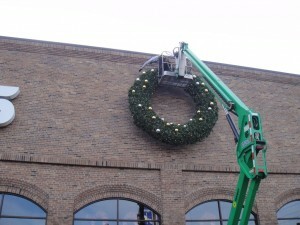 LED lit wreaths that feature 6 ft. bows and a variety of ornaments. 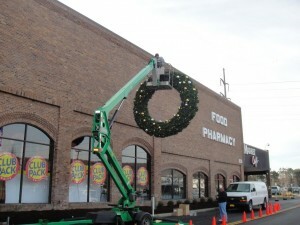 Shoppers in the Rochester, Binghamton, Ithaca, and Buffalo areas can look forward to seeing our decorations in a few months. 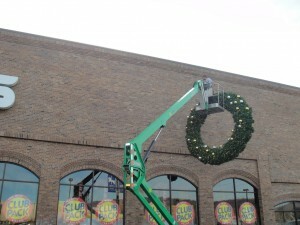 For now, check out some pictures from an install we did last year at the Johnson City location.